Get Delhi HC Personal Assistant Syllabus 2018 from here. Individuals those who have applied for High Court Of Delhi Recruitment 2018 can download the DHC Personal Assistant (Group B) Syllabus 2018 and Exam Pattern includes topics and subtopics which are essential to prepare well for the written examination. Get the detailed information about DHC Syllabus 2018, Delhi HC Personal Assistant Exam Pattern, Preparation tips from this page. Also, Check the Delhi High Court Personal Assistant (Group B) Exam Pattern in the upcoming sections which will be given the complete idea about the scheme of the written examination. Practice with the help of DHC Personal Assistant (Group B) Previous Year Papers with Answers to gain more marks in the written examination. In this article, candidates will get the perfect preparation materials. You can also find out the www.delhihighcourt.nic.in Group B Syllabus 2018 PDF from the link attached below. 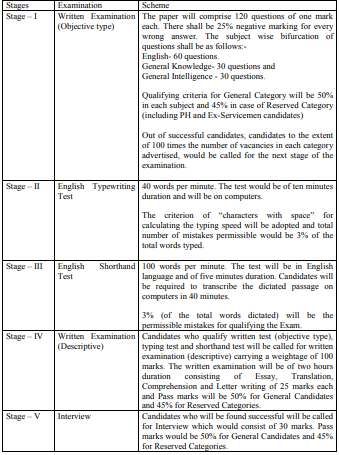 Are you part of Delhi High Court Written Examination? If Yes, Don’t waste your time surfing the internet for Delhi HC Personal Assistant Syllabus 2018 and Exam Pattern. Since we are here to help out the applied candidates who want to participate in the High Court Of Delhi Examination. Download and refer DHC Personal Assistant (Group B) with Solutions which are available on our All India Jobs for better exam preparation. Check out the DHC Personal Assistant Exam Pattern tabulated in the below sections which defines the detailed scheme of the examination. Moreover, Refer the www.delhihighcourt.nic.in Group B Exam Pattern which provides the detailed information about Marks scored for each section, Subjects to be prepared, Duration of the Exam, Topics & Sub Topics, etc. Now, Start preparing for DHC Group B Exam 2018 by checking the Delhi HC Personal Assistant Syllabus 2018 and Exam Pattern. Get Delhi High Court Admit Card 2018 for Group B Written Exam. Want to crack the written exam? Then check out the Delhi HC Personal Assistant Syllabus 2018 and Exam Pattern provided here to start your exam preparation. Make a plan according to the topics which are covered for the written exam. Make sure that we have provided www.delhihighcourt.nic.in Group B Syllabus 2018 here for reference purpose only. Moreover, candidates can also visit the official website of Delhi High Court to get more details about the Delhi High Court Personal Assistant (Group B) Syllabus 2018 and Exam Pattern. Obtain more marks in the written exam by performing well. High Court Of Delhi will conduct the written exam and interview rounds to select the candidates for Personal Assistant (Group B) posts based on their performance.